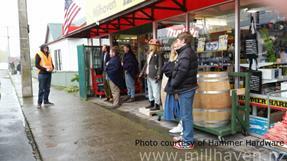 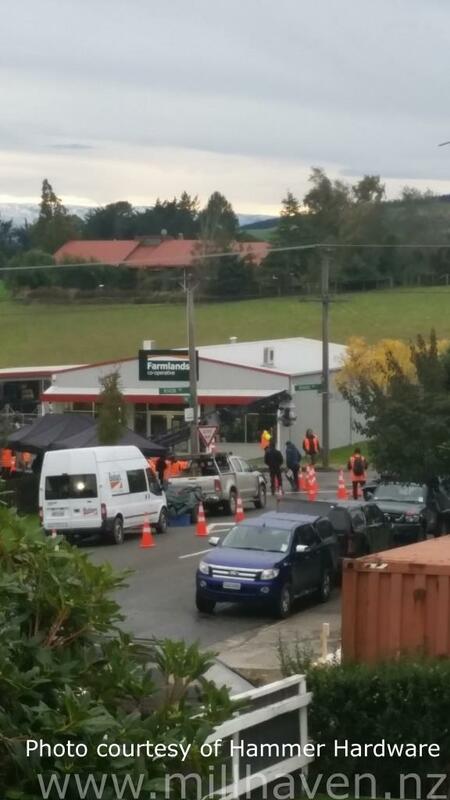 While the filming being done in Tapanui could be seen by anybody and everybody, the old Blue Mountain Lumber site at Conical Hill was closed off. 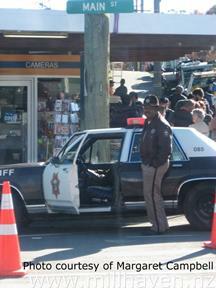 Only cast, crew and extras were permitted in there, so there are not many photos available at the moment to show what happened there. 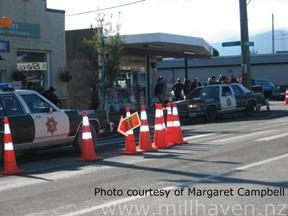 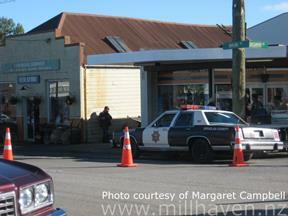 A lot of the filming was done inside the buildings. 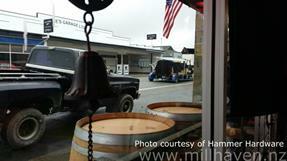 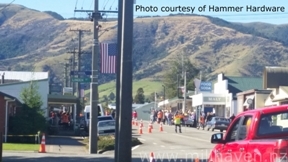 It could be seen from the road that some vehicles had been damaged. 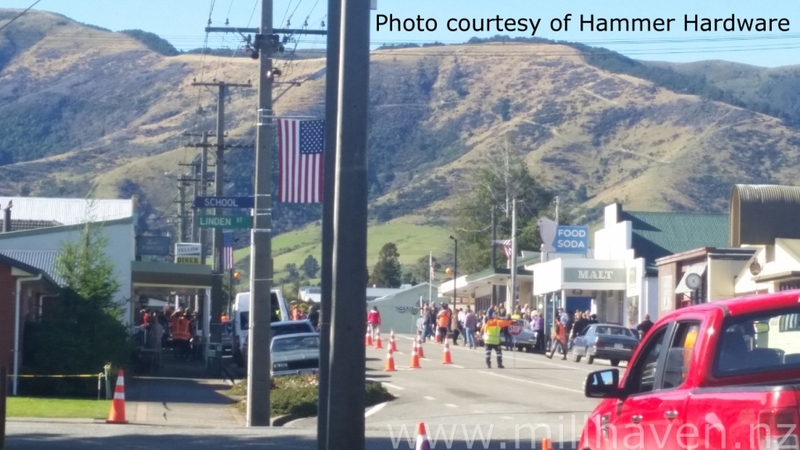 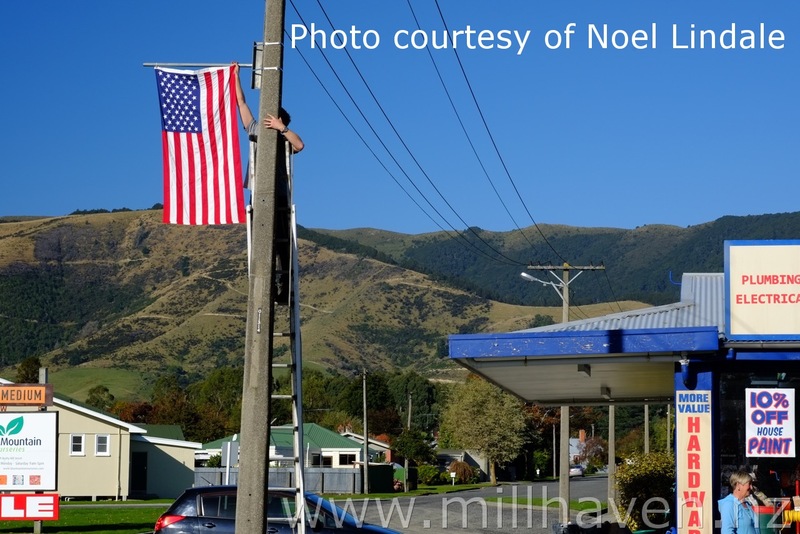 While the work on transforming the shops took a lot of work, it was also necessary to transform other parts of the streets from Tapanui to Millhaven. 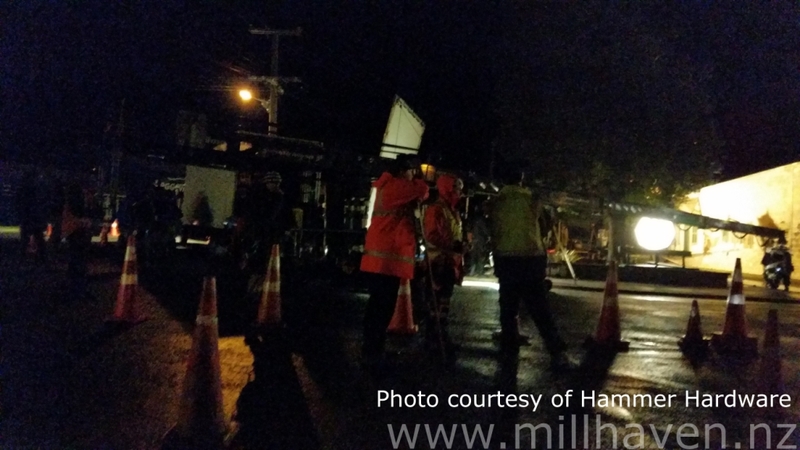 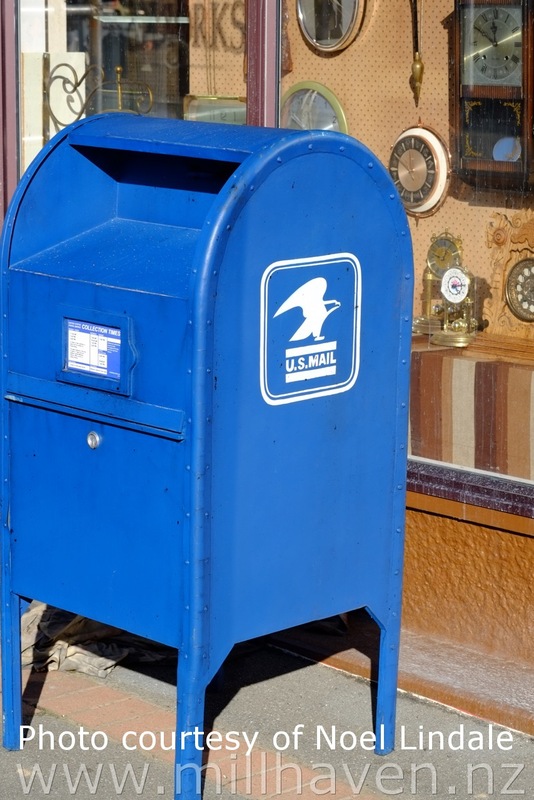 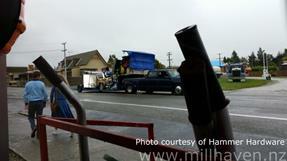 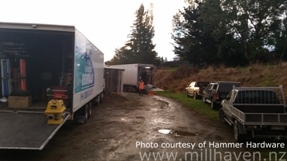 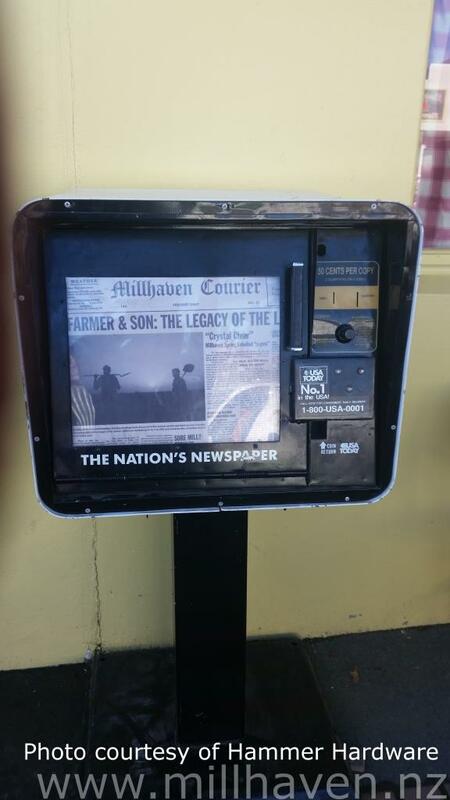 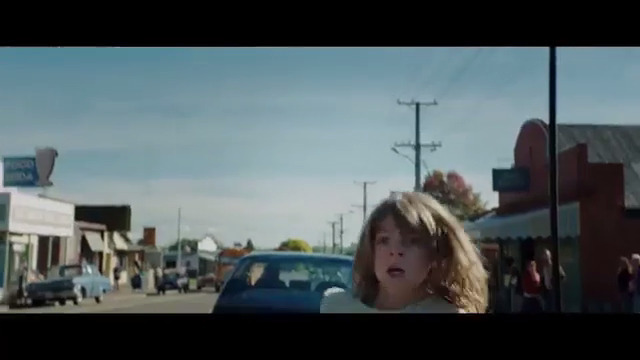 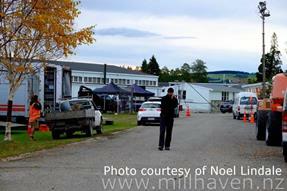 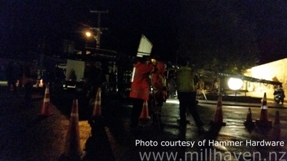 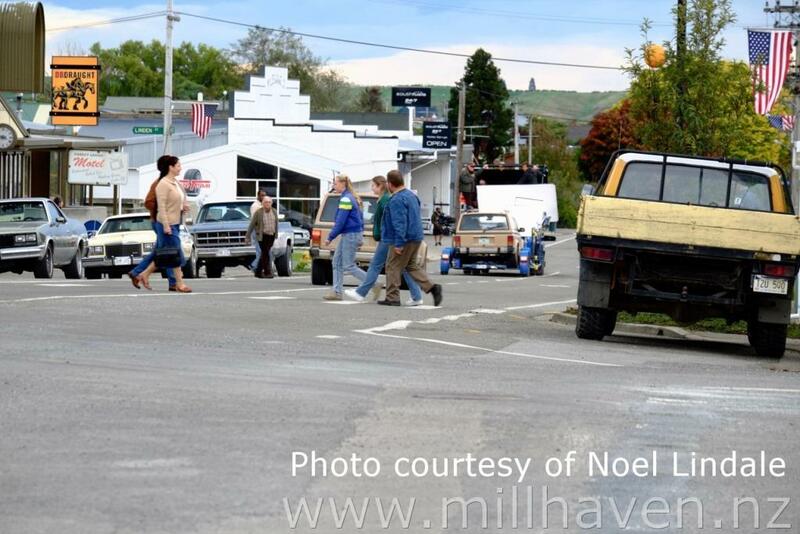 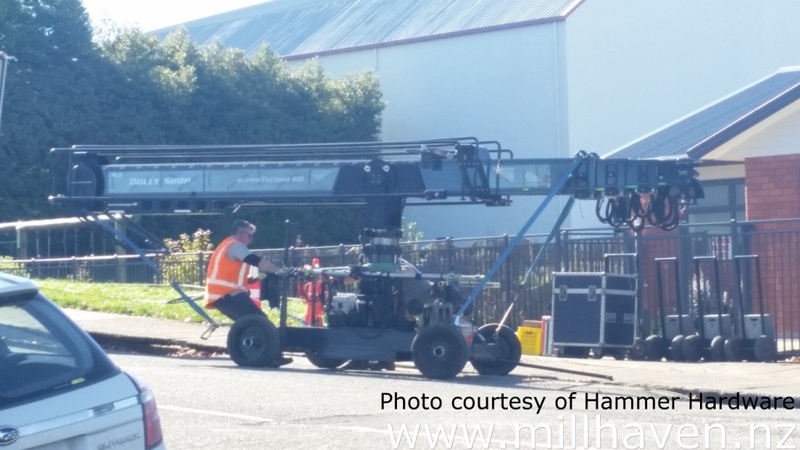 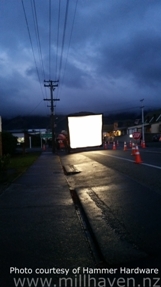 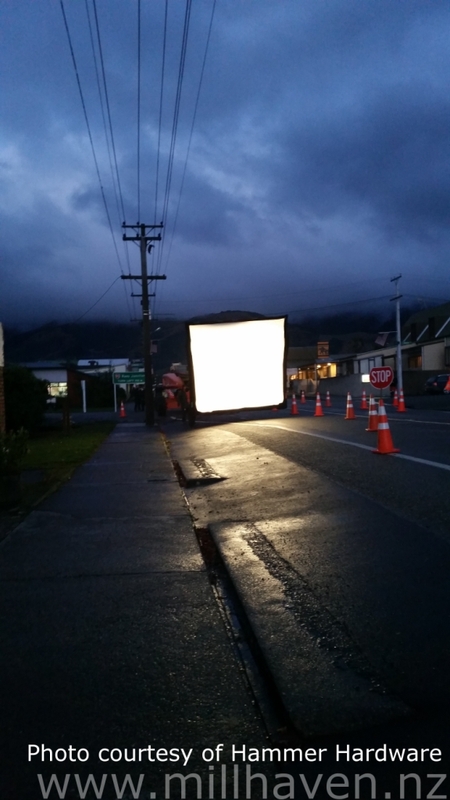 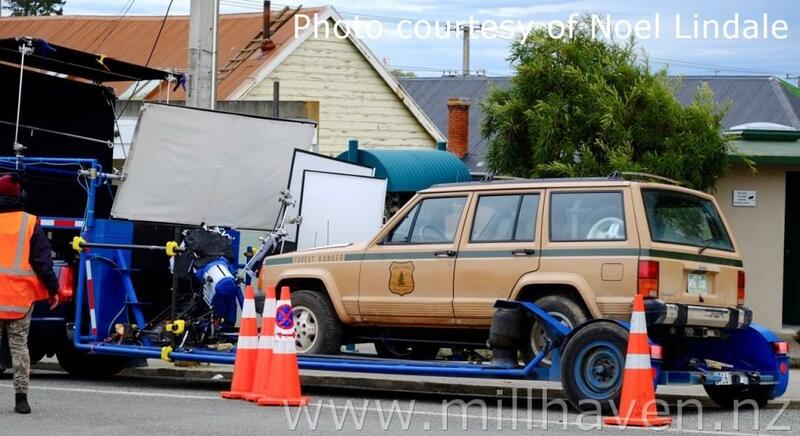 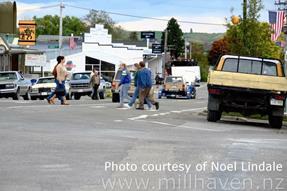 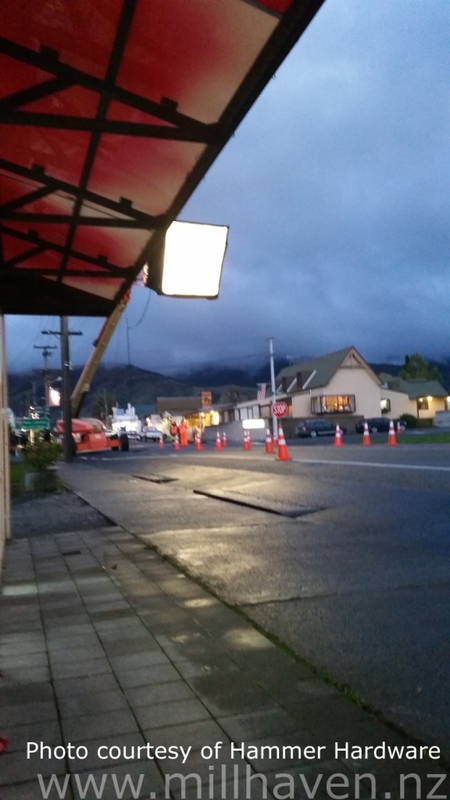 The pictures of the filming which took place at night in Tapanui have been removed from this website as the night scenes were not used in the movie. 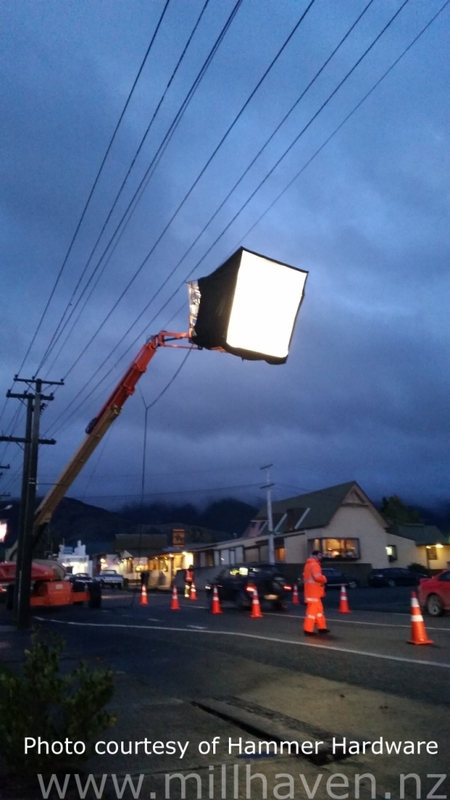 A night shot of the main boom camera. A notice had been placed on this area some weeks before filming started requesting that the grass NOT be mown. 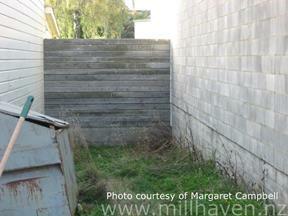 The wall down the back of the area was erected for the filming and removed afterwards.